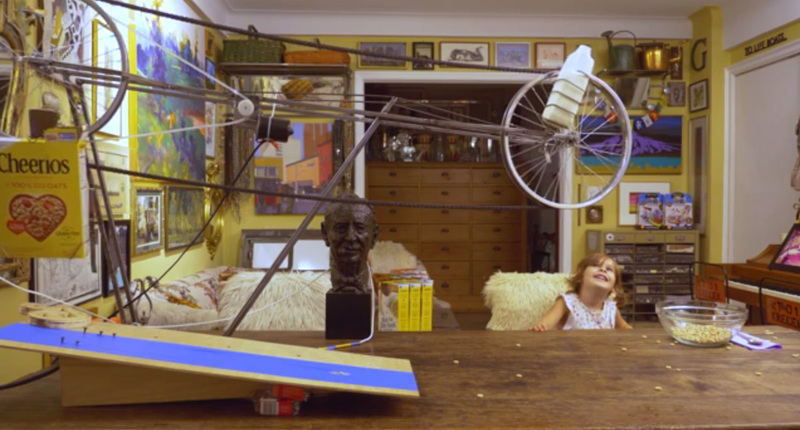 ARE YOU READY TO BUILD A MACHINE TO “POUR A BOWL OF CEREAL”? What Kind of Cereal Can I Use? Can we utilize a human in our machine? Can a machine include a remote control device? “We are thrilled to have achieved this milestone of 30 amazing years of our annual machine contest. And, for our anniversary year, “Pour a Bowl of Cereal” is a fun and perfectly Rube-centric task,” Jennifer George, the Legacy Director of the RUBE GOLDBERG MACHINE CONTEST® and the granddaughter of Rube Goldberg, said. Breakfast machines have a long Rube Goldberg heritage and have been featured in popular movies such as Chitty Chitty Bang Bang and Pee Wee's Big Adventure. Rube Goldberg, Inc. is also proud to announce the official task sponsor for “Pour a Bowl of Cereal” will be General Mills, Inc. 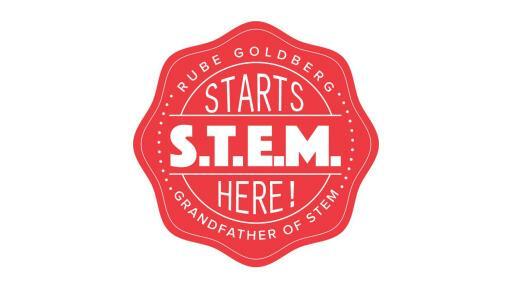 Since 1988, students from all over the world have celebrated the legacy of RUBE GOLDBERG® by creating RUBE GOLDBERG MACHINES® in competitions which capture the spirit of the iconic American cartoonist whose invention cartoons celebrate innovation, persistence and imagination. 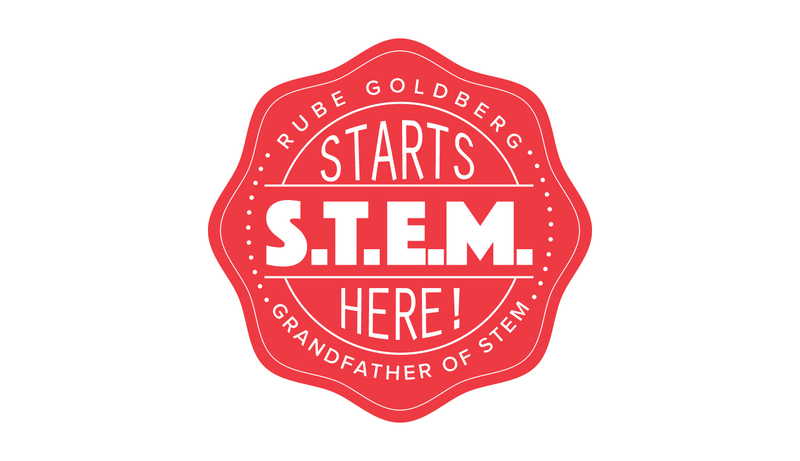 With the rise of S.T.E.M., Rube Goldberg machines have become a fun and interactive way for teams to gain critical skills in these important educational areas. Every year a new task is assigned for the competition and participants at all levels create machines that can accomplish this task. The use of readily available, found materials is prized as is each machine’s narrative and sense of humor. 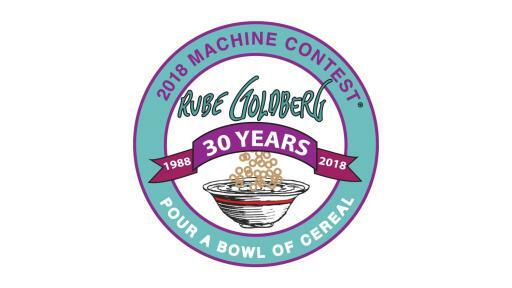 For this year’s task, contestants will build a RUBE GOLDBERG MACHINE® per contest rules with the final step having the machine pour a bowl of cereal. Registration is now open for competing teams to enter the competition, which will culminate in the national finals this Spring. 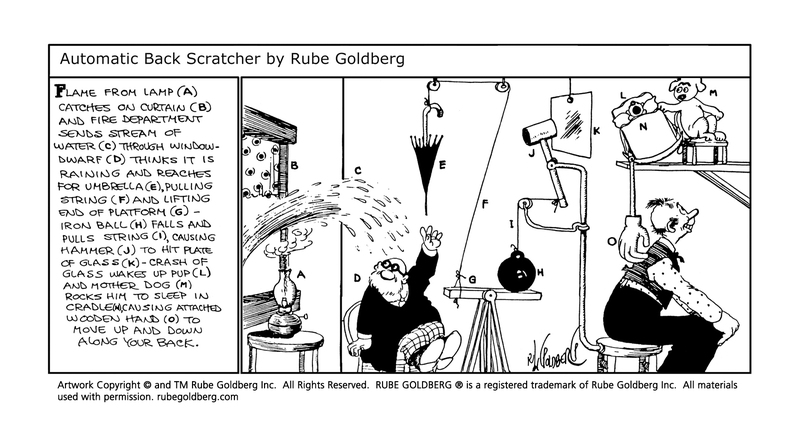 Rube Goldberg (1883-1970) was a Pulitzer-Prize-winning cartoonist best known for his comical chain reaction “invention cartoons” which were published in the weekly comics in hundreds of newspapers. The overwhelming popularity of these drawings made him and his cartoons a cultural icon, an adjective in the Merriam-Webster Dictionary and a term which is invoked daily in American media and by thousands of individuals. The concept behind all RUBE GOLDBERG® cartoons – complicated and funny ways to accomplish simple tasks – is responded to universally. Headquartered in Minneapolis, General Mills is a leading global food company that serves the world by making food people love. Its brands include Cheerios, Annie's, Yoplait, Nature Valley, Fiber One, Haagen-Dazs, Betty Crocker, Pillsbury, Old El Paso, Wanchai Ferry, Yoki and more. General Mills is also very active in the communities it serves. Since 1996, as a result of General Mills Box Tops for Education™ program, America’s schools have earned over $800 million to buy the things they needed: books, computers, playground equipment and more. This sponsorship was brokered by Rube Goldberg’s licensing agency, Brand Central LLC.